ELISA: Antibody detection limit dilution 1:32,000. Western Blot: Approximately 37 kDa band in lysates of human cell lines Daudi, Jurkat and MOLT4 after 0.3 μg/mL antibody staining.3 kDa according to NP_149023.1. 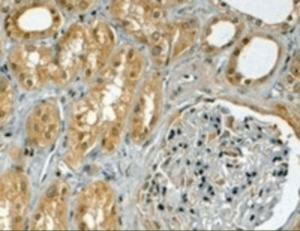 The 37 kDa band was successfully blocked by incubation with the immunizing peptide. 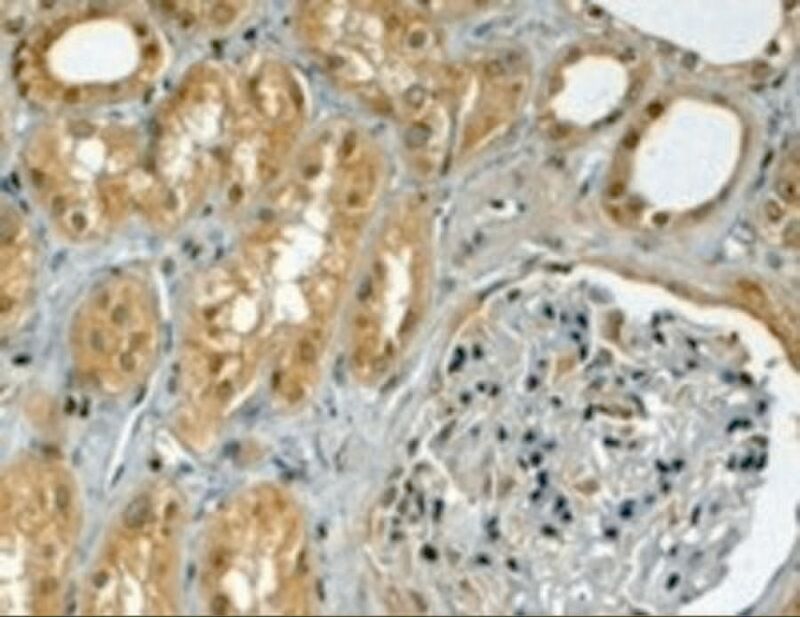 Immunohistochemistry: In paraffin embedded human kidney shows cytoplasm staining in PCT. Recommended concentration, 3-6 μg/mL. TRIM5 antibody was purified from goat serum by ammonium sulphate precipitation followed by antigen affinity chromatography using the immunizing peptide. TRIM5 antibody is supplied in Tris saline, 0.02% sodium azide, pH 7.3 with 0.5% BSA.